My first entry for the Blogger’s Quilt Festival is this wall hanging I just completed as part of the machine paper piecing portion of the Penny Sampler class. I intentionally chose a much different style and feeling than my main penny sampler quilt (you can see my most recent blocks here). This quilt is softer and prettier with a somewhat matchy and limited color scheme. It also employs cream and beige whereas my penny sampler uses bright bleached whites. I was going for a bit of a vintagey vibe, can you tell? I like that I can picture this fitting into a real kitchen without trying too hard and stealing the whole show. This was only my second-ever attempt at machine paper piecing (the first being these pretty awesome airplane pillows). It’s not as hard as it looks! I love the crispness and precision of it. For me, it will never replace traditional piecing and appliqué but I definitely think it’s a great tool to tackle tricky shapes. And it’s just plain fun. Oh, and for those of you who are worried that I am not going to follow through on this teaser, do not fear! My second entry in the BQF is coming. Watch for that sometime over the weekend! I’m linking up with the Blogger’s Quilt Festival (of course!) 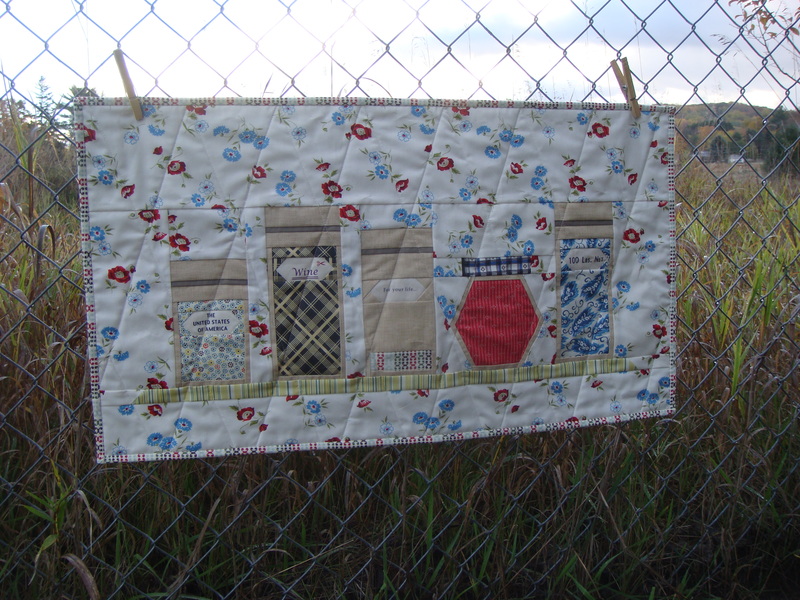 but also with Finish it up Friday and the Paper Piecing Party at Quiet Play. 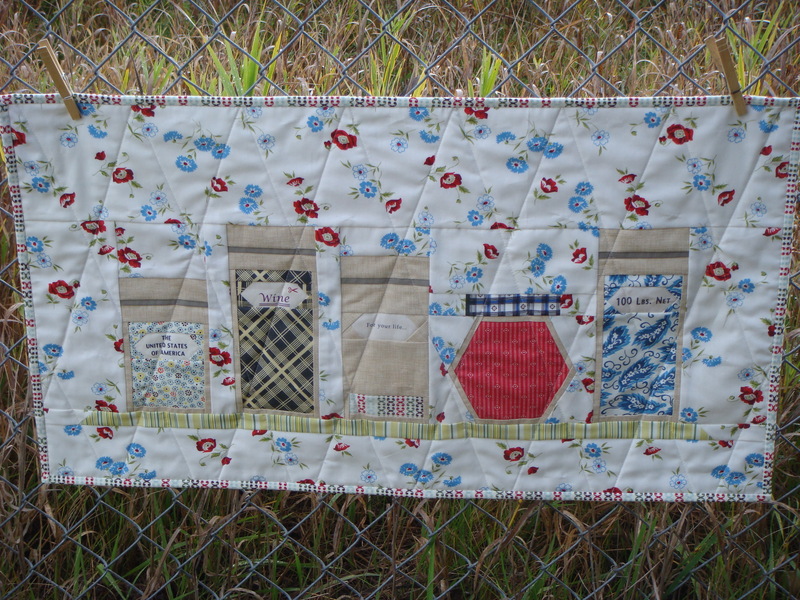 This entry was posted in Uncategorized and tagged Blogger's Quilt Festival, Machine paper piecing. Bookmark the permalink. Really nice! You hit the vintage vibe right on the head. I really like this tiny quilt! The colors suit it perfectly! What a cute and unique mini! Love it. the DS print makes a great background. The print reminds me of vintage sheets and helps with the vintage vibe as well as color scheme. Great job! 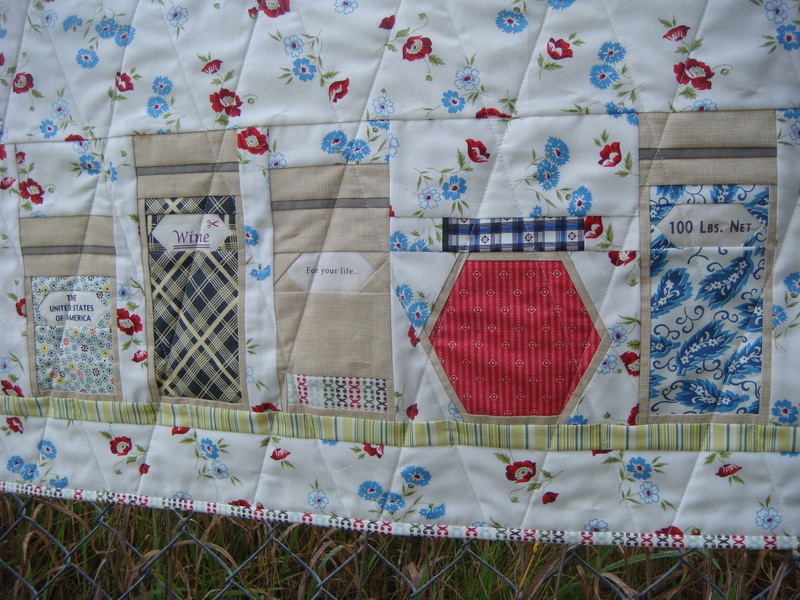 Yes, you’ve totally achieved a vintage vibe with this quilt. So cute!!! I love this – how adorable is this?! I like the vintage feel of this. It would look great in a kitchen!